At HCGi, we offer data center solutions from each of the market leaders. 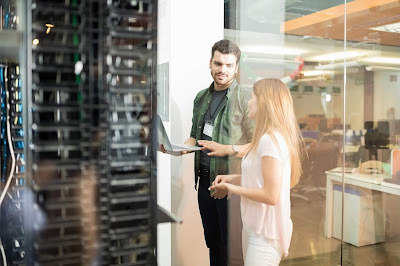 Whether you are looking for increased data storage, additional compute capacity, reliable data backup and restore, or you just need to replace existing equipment- HCGi is here to help. Our value add is to bring best-in-breed solutions to the table for you, assist in the technical evaluation process, and then help you make the most informed decision possible based upon the unique needs and requirements of your environment. We pride ourselves on being an agnostic solution provider, and we offer each client a clear picture of the competitive landscape as they engage in picking a technology. We will show you the strengths and weaknesses of each solution, and act as a trusted advisor. Whether you wish to explore Hybrid-IT solutions, Converged Infrastructure, or a more traditional approach to compute and storage, our Solution Architects can help to build a custom solution for your needs. We can also assist with installation and data migration services upon request, and we are also at your side for the full life-cycle of the equipment with post-sale support as needed. Regardless of which data center technology you prefer, HCGi is your trusted partner in keeping your data center optimized and running efficiently for years to come.